“For just as the body is one and has many members, and all the members of the body, though many, are one body, so it is with Christ. 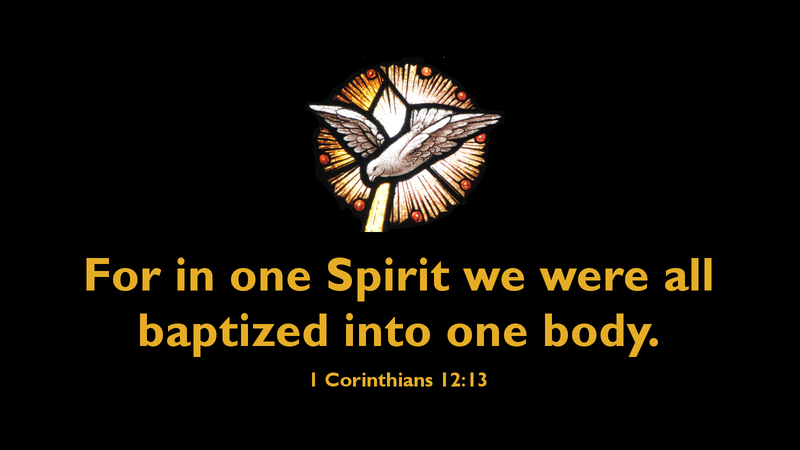 For by one Spirit we were all baptized into one body—Jews or Greeks, slaves or free—and all were made to drink of one Spirit” (1 Cor 12:12–13). It’s always good for Christians to gather together during the Week of Prayer for Christian Unity in January—to pray for Christian unity! Often, local Christians from different churches will gather for a special service of Word and prayer. It is good and right for Christians to gather in this way—even though the numbers are usually small. On the one hand, we are uplifted when Christians come together in the Spirit of unity. On the other, we can’t help but experience a bit of disappointment that so few Christians will gather. Bishop Bradosky and I once attended the Week of Prayer Service at the Roman Catholic Cathedral of Saint Joseph in Columbus, OH—and it looked a bit empty and forsaken, with only a handful in attendance. It doesn’t mean we should stop gathering together, seeing so few are interested. It does mean we have great work still to be done to bring the unity we have in Christ to the forefront. We can be thankful that Jesus our Lord Himself prays in His High Priestly Prayer that we may be one. We can also be thankful for St. Paul, who writes so clearly about the nature of this unity we have in Christ Jesus–that just as the body is one and has many members, the Body of Christ is one with its many members. And though we are Jews and Greeks, slaves or free; though we come from many different backgrounds and traditions, we all drink of one Spirit! We all draw from the same life-giving fountain which is the Holy Spirit of God. Thanks be to God for our oneness in Christ! Prayer: Lord our God, as Jesus prayed for his followers to be one, make us one in Him, that the world may know of your love; through the same Jesus Christ our Lord. Amen.